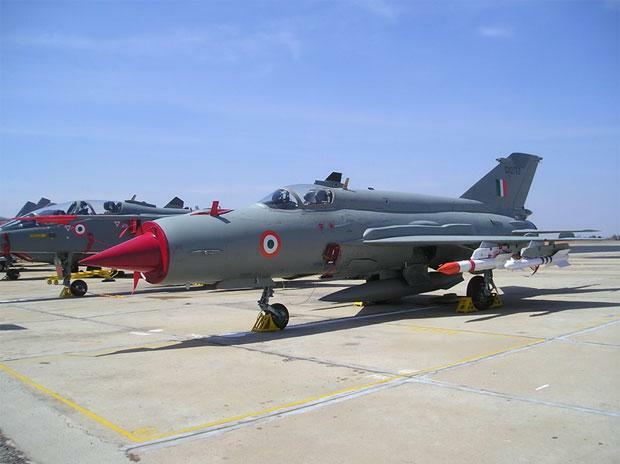 For the Varthamans, flying the MiG-21 fighter aircraft is a sort of family tradition. Wing Commander Abhinandan Varthaman downed a Pakistani F-16 plane before his MiG-21 Bison was hit during a dogfight. His father Air Marshal (retd) Simhakutty Varthaman also flew the MiG-21s and was an IAF test pilot, who retired five years ago, a family friend said here Friday. Abhinandan's grandfather was also in the IAF, he said. In an interview to PTI, Wing Commander (retd) Prakash Navale, who was a course-mate of Abhinandan's father at the National Defence Academy (NDA) during 1969-72, said the first time he saw the young pilot, held captive by Pakistan, was when he was a three-year-old toddler. "Myself and his father were then posted at the fighter training wing at Hakimpet, Hyderabad," said Navale, 66, who retired from the IAF in 1994 and now lives in Navi Mumbai. "Initially, I also passed out (from Air Force Academy) as a fighter pilot but later switched to helicopters. Myself and Air Marshal (retd) Varthaman were flying instructors for some time," he said. Like Navale, Air Marshal Varthaman is also a Sainik School alumnus. While Navale studied at Sainik School Satara, Air Mashal Varthaman is from Sainik School Amaravathinagar in Tamil Nadu. Navale said Air Marshal Varthaman was staying at Tambaram when he was doing the flying instructor's course there. "The Varthamans are very simple people and we have enjoyed many a hearty meal at their house," he said. "Air Marshal Varthaman is a through gentleman. His wife Shobha, a doctor, is a great lady. When my wife Aruna was pregnant, she used to visit us regularly and administer injections to her. We were blessed with our daughter Pooja due to Shobha's medical care," Navale said. Abhinandan's sister Aditi lives in France and has married a French national, he said. In 1982, Navale, then Flight Lieutenant, was awarded the 'Shaurya Chakra' for saving the life of then Odisha chief minister J B Patnaik from mob fury in Gopalpur. The award citation read: In this action, Flight Lieutenant Prakash Navale displayed determination, courage and presence of mind. Had he not flown out the VIP at that critical time, the situation could have taken a grave turn and could have resulted in serious consequences to the VIP and further break-down in the law and order situation.